Welcome to Buffalo Tours Buffalo! 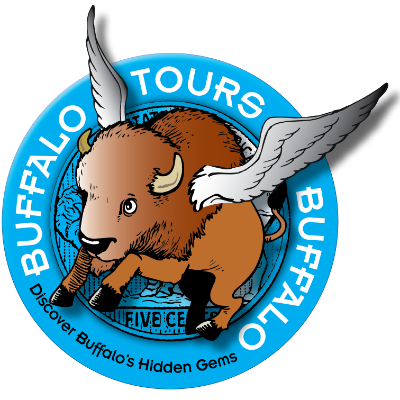 Buffalo Tours Buffalo is loosely patterned after what is commonly known as a “flash mob.” In its most basic form, BTB is an outlet for people to come together and help expose fellow Buffalonians, and the community-at-large, to Buffalo’s hidden arts, cultural and tourism gems. Quarterly each year, BTB, through a small planning committee of volunteers, will organize an event or gathering at a local hidden gem. The planning committee will take care of the simple tasks of contacting the chosen venue and arranging anything that needs to be arranged ahead of time that will assist the venue in accommodating a flush of people on the chosen date. This may include anything from space considerations to ticket availability (if necessary). The amount of advance legwork required from the planning committee is very minimal, and there are only a few planning committee members every quarter – a very light lift. From there – you – the primary source of energy and excitement for these events – take the lead. If the venue interests you, you can and should show up to support the local business, whether that be a theatre, museum, store, restaurant, or something else – generating a not insignificant economic and social impact for that venue. The real value – and the primary source for the free, nearly effortless marketing and exposure for these hidden gems – is your active endorsement of them via social media. We have set up a Facebook page and a Twitter account (@buffalogems), not to mention a webpage, so that everyone attending the event that quarter can “check-in,” post status updates, post photos, or tweet about the event – thereby immediately and effortlessly exposing the venue to our widespread social networks. Hopefully, in turn, the community will pick up on all the fun and excitement and begin to attend these events as well, which will help us achieve our incredibly achievable goal of creating local tourists out of already existing Buffalonians, and exposing them to Buffalo’s hidden gems along the way. Also, if we “follow” each other on Twitter, or are “friends” with each other on Facebook, we can each share BTB posts with our disconnected friends or “retweet” BTB posts for others to see. The power of social media is undeniable. We hope to harness the potential of that power and use it to make visiting Buffalo’s hidden gems not only THE new trend. Won’t you join us? Who knows where it will lead . . .
Buffalo Tours Buffalo’s mission is to expose locals to the city’s enriching arts, culture, and tourism “hidden gems” through the coordinated use of social media. BTB’s goal is to Make Buffalo Better by effecting social and economic change, and the way we think about what we have right here in our own backyard. The BTB Mission has begun. Copyright © 2013-2019 Buffalo Tours Buffalo.